Let’s face it – brushing teeth isn’t always fun for kids. You can talk to them all you want about the dental benefits of a good brushing routine, but it can be hard for kids to see the big picture when all they want to do is go and play. So how do you get kids excited about brushing their teeth twice each day? Like doing their chores and eating vegetables, you can encourage your kids to maintain a good dental hygiene routine by making it fun. Nothing can make an otherwise boring couple of minutes positively fly by faster than turning them into a game. Once you start turning tooth-brushing time into an event, your children will begin to look forward to brushing their teeth. Here are three ideas to help you get your kids keep their teeth strong and healthy. Dentists recommend that children brush their teeth at least twice per day, with each session lasting two minutes. In that time, you need to make sure that your child manages to gently brush each tooth as well as their tongue and the roof of their mouth. Two minutes can seem like an eternity to a bored child, so to make this time fun, you can make a playlist of two-minute-long songs to dance to as you brush your teeth. This is also a good way to ensure that your child gets their full two minutes of brushing in without resorting to timers. Brushing your teeth doesn’t necessarily need to be a solitary routine. Many children benefit from having their parents and siblings join in the teeth-brushing fun. Getting the whole family involved not only makes the time go by more quickly, but also offers the perfect opportunity for some bonding time. What’s more, your kids get the benefit of a daily demonstration from the tooth-brushing experts of the house. There’s no denying that kids like getting new stuff, and it’s no different when it comes to dental hygiene tools. You should replace your child’s toothbrush every three to four months, or when the bristles begin to lose their integrity. Allowing children to pick out a new toothbrush or toothpaste can give them a sense of independence and make them look forward to brushing time just a little bit more each morning and evening. It’s important that you impress good oral hygiene habits on children when they’re young, as it helps to encourage dental health well into adulthood. There are endless ways that you can step in and inspire your child to brush by making it more fun. 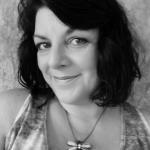 Lucy Wyndham is a freelance writer and editor. She began her career as a dental assistant and has spent over a decade in dental care before taking a step back to spend more time with her family. Lucy now works from home and is working on getting her own daughters to brush their teeth properly every day.